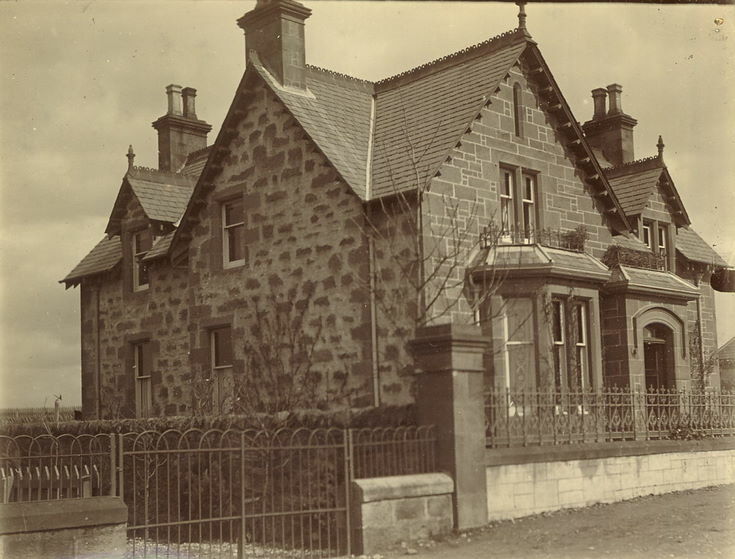 Monochrome photograph with album annotation "Fynbar" showing a substantial stone house, a fine example of local architecture, with wrought iron railings on its stone garden wall. From an album of postcards and photographs taken by Mrs J.I.C. Mackayand of Dornoch and surrounding area .